27mm Drop Rod suitable for use with Belaire, Classic, Delta, Omega, Orion, eMotion, Vienna, Viper, Phoenix, Sigma and Aurora fans. Please call us on 0808 168 4535 or email sales@theceilingfancompany.co.uk for delivery charges. UK Mainland excludes the Channel Islands, Northern Ireland, Isle of Man and the following postcodes: AB36-38, AB55-56, FK17-99, G83, HS0-9, IV1-63, KA27-28, KW1-99, PA20-99, PH15-99, ZE0-99. Your fan comes with all the fixings required as well as an easy-to-follow installation guide. 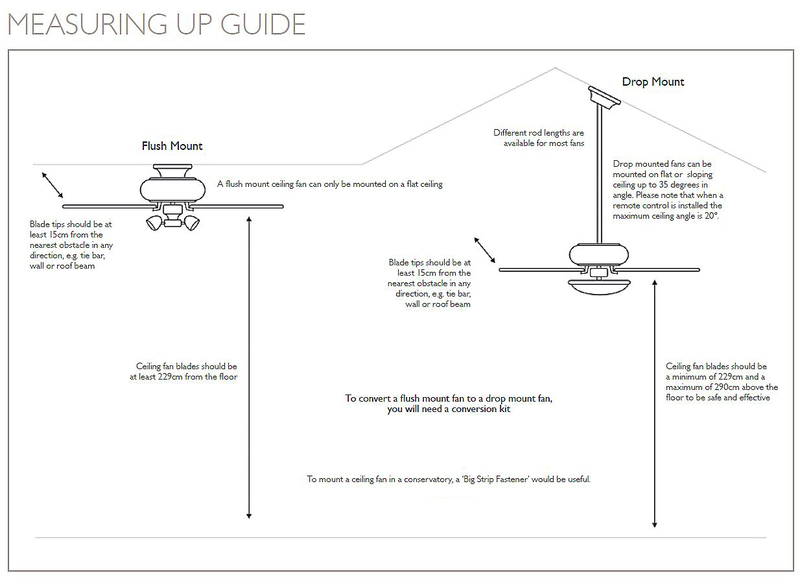 Installing a fan is similar to installing a light fitting. Simply wire into your existing lighting circuit (two core and earth). Connect the coloured wires of the fan to the matching coloured wires of your household electricity supply, following the coloured diagrams supplied in your guide. For peace of mind, many people prefer to have their ceiling fans installed by a qualified electrician. Should you decide to do this, then rest assured, it should be a simple and quick job for them to do. For technical advice please call 08081684535 or email info@theceilingfancompany.co.uk. NOTE: Your ceiling should be at least 7ft 6" (2.3m) from the floor and the tips of the fan need to be at least 8" (20cm) away from any objects such as a beam or sloping walls. 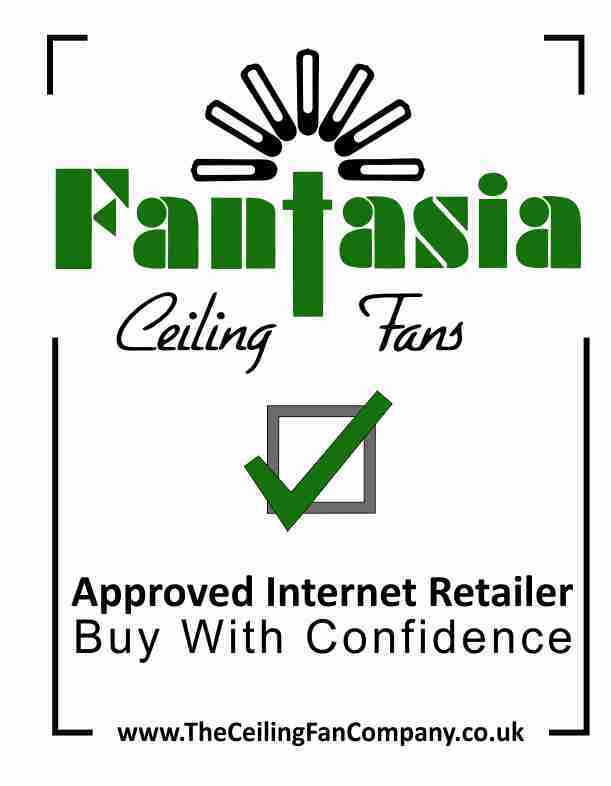 Please check your ceiling is solidly constructed (eg: standard joists and plaster, not plasterboard) as the fixing point needs to be capable of supporting ten times the weight of the fan due to the thrust generated by the movement of the blades. Everything you need to install the fan is included in the box. However, if you have a sloping ceiling you may need to purchase an additional mounting. If you have a very high ceiling you or a conservatory, you may need to purchase a drop rod and conversion kit. Click the button below to add the 48" / 122cm 27mm Drop Rod to your wish list.